Nikos Gasparis is Assistant Portfolio Manager in the Asset & Portfolio Department of the Company. He joined Trastor in 2018, responsible for managing the Company’s Asset Portfolio. 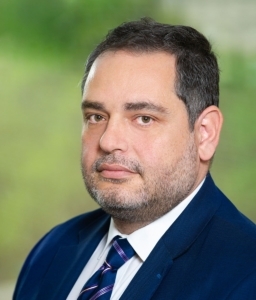 He has over 23 years of professional experience in the real estate sector in Greece, having served for many years as Real Estate Manager at the Bank of Cyprus and at Piraeus Bank. He has extensive experience in Real Estate, Economic and Technical studies and Property valuation. Nikos is a graduate of National and Kapodistrian University of Athens and holds a Master degree (MSc) in Economic Science (Banking) from Hellenic Open University. He is a Property Valuer, member of AVAG, as well as, member of Hellenic Geotechnical Chamber and of Economic Chamber of Greece.